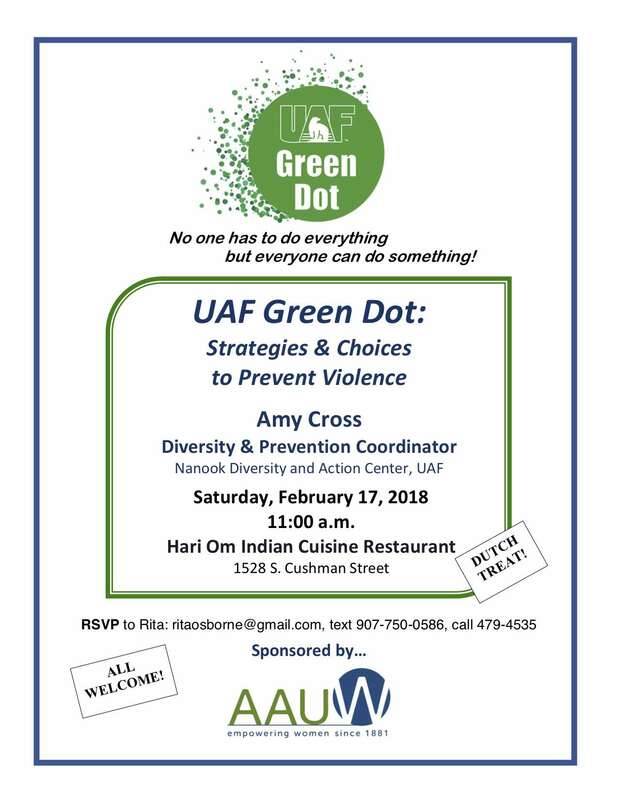 The February program will be Saturday, February 17, 11AM, at the Hari Om Indian Cuisine restaurant, 1528 S. Cushman St. 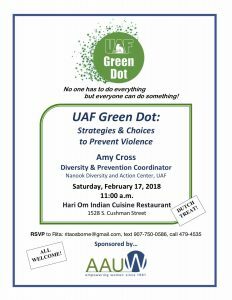 This is a no-host luncheon with a speaker from UAF on the Green Dot program. Details are being finalized and will be provided. Please RSVP to Rita at ritaosborne@gmail.com, text to 907 750-0586 (please include name) or call 479-4535. If you would like a ride, please let her know so arrangements can be made. This entry was posted in Uncategorized on February 6, 2018 by gbmurakami.